Terrorists have struck in the street of the city and only cop to save hundreds of civilians terror strucken. Kill them to survive on the streets of the murderers. 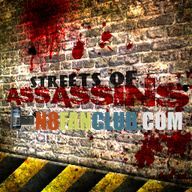 Street murderers is the most amazing action game and Kill ya For free!. Compatible with S^3 / Anna / Belle Smart Phones.